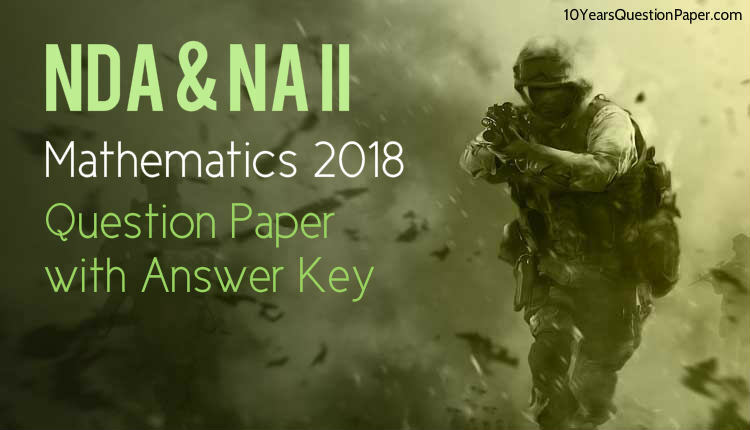 Download NDA II & NA II question paper of Mathematics 2018 with answer key and solution solved by expert teachers. संघ लोक सेवा आयोग UNION PUBLIC SERVICE COMMISSION (UPSC) has released the official question paper of NDA Mathematics 2018 is free to download in PDF. The NDA & NA 2018 MCQ Exam of Mathematics contains 120 questions for 300 Marks and time allowed was 2 hours and 30 minutes. NDA 2019 syllabus for maths examinations is divided into eight chapters – Algebra, Matrices and determinates, trigonometry, analytical geometry of two and three dimensions, differential calculus, integral calculus, and differential equations, vector algebra and statistics, and probability. 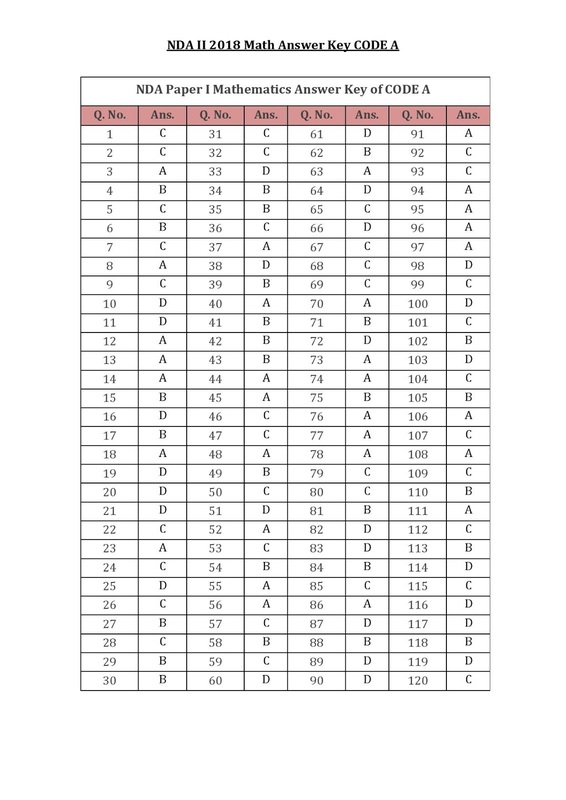 NDA & NA II Question paper and Answer Key has been downloaded from - www.upsc.gov.in and students can view the notification of NDA exam from - www.nda.nic.in. Hope this solved paper of mathematics will help you in your upcoming NDA (National Defence Academy) examination and this previous year question paper will upgrade your results if students practice last year paper because 70% of the question pattern is repeated every year. 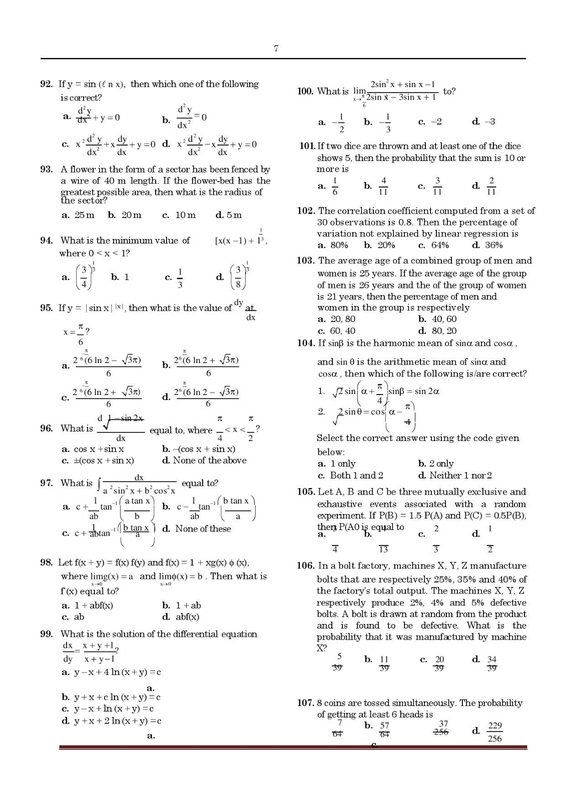 So students download the maths paper of NDA in PDF for free.